IIHS Top Safety Pick+. Only 28,859 Miles! Delivers 29 Highway MPG and 20 City MPG! Dealer Certified Pre-Owned. This Mercedes-Benz E-Class boasts a Twin Turbo Premium Unleaded V-6 3.0 L/183 engine powering this Automatic transmission. Window Grid Antenna, Wheels: 18 Twin 5-Spoke Design -inc: 8.0 x 18.0 front and 8.5 x 18.0 rear, Valet Function. * This Mercedes-Benz E-Class Features the Following Options *Trunk Rear Cargo Access, Trip Computer, Transmission: 7-Speed Driver-Adaptive Automatic -inc: sport and economy shift modes and steering wheel shift paddles, Transmission w/Driver Selectable Mode and TouchShift Sequential Shift Control w/Steering Wheel Controls, Tracker System, Tires: P235/40R18 Fr & P255/35R18 Rr AS, Tire Specific Low Tire Pressure Warning, Systems Monitor, Strut Front Suspension w/Coil Springs, Side Impact Beams. * Know You're Making a Reliable Purchase *Mercedes Benz of El Dorado Hills graded the Overall Condition of this vehicle as Excellent. Non-smoker vehicle! * Visit Us Today *A short visit to Mercedes Benz of El Dorado Hills located at 1000 Mercedes Lane, El Dorado Hills, CA 95762 can get you a tried-and-true E-Class today! *Golden Rule*We are a Golden Rule company dedicating ourselves to world-class customer service in an environment of trust, dignity, and fun. George Grinzewitsch, CEO and Owner, Von Housen Automotive Group For more than 60 years, Von Housen Automotive Group has delivered high-end luxury vehicles to discerning clients throughout the greater Sacramento area, and is the place more people trust for quality, service, and a large selection of Mercedes-Benz vehicles. Von Housen Automotive Group operates three Mercedes-Benz dealerships in Northern California, including Mercedes-Benz of Sacramento, Mercedes-Benz of Rocklin and Mercedes-Benz of El Dorado Hills. The group also owns Mercedes-Benz Sprinter dealerships in both Rocklin and Sacramento. Mercedes-Benz of North America Von Housen Automotive Group has more than 300 dedicated employees and sells approximately $301,000,000 in new and used vehicles, parts and service annually. The team is also a leader in supporting community, philanthropic and non-profit initiatives. Stop by Mercedes-Benz of El Dorado Hills to experience a wide selection of Mercedes-Benz luxury cars, presented by Northern California’s leading team of sales advisors. Reach us online, or give us a call.IIHS Top Safety Pick+. Only 28,859 Miles! Delivers 29 Highway MPG and 20 City MPG! Dealer Certified Pre-Owned. This Mercedes-Benz E-Class boasts a Twin Turbo Premium Unleaded V-6 3.0 L/183 engine powering this Automatic transmission. Window Grid Antenna, Wheels: 18 Twin 5-Spoke Design -inc: 8.0 x 18.0 front and 8.5 x 18.0 rear, Valet Function. * This Mercedes-Benz E-Class Features the Following Options *Trunk Rear Cargo Access, Trip Computer, Transmission: 7-Speed Driver-Adaptive Automatic -inc: sport and economy shift modes and steering wheel shift paddles, Transmission w/Driver Selectable Mode and TouchShift Sequential Shift Control w/Steering Wheel Controls, Tracker System, Tires: P235/40R18 Fr & P255/35R18 Rr AS, Tire Specific Low Tire Pressure Warning, Systems Monitor, Strut Front Suspension w/Coil Springs, Side Impact Beams. * Know You're Making a Reliable Purchase *Mercedes Benz of El Dorado Hills graded the Overall Condition of this vehicle as Excellent. Non-smoker vehicle! * Visit Us Today *A short visit to Mercedes Benz of El Dorado Hills located at 1000 Mercedes Lane, El Dorado Hills, CA 95762 can get you a tried-and-true E-Class today! *Golden Rule*We are a Golden Rule company dedicating ourselves to world-class customer service in an environment of trust, dignity, and fun. George Grinzewitsch, CEO and Owner, Von Housen Automotive Group For more than 60 years, Von Housen Automotive Group has delivered high-end luxury vehicles to discerning clients throughout the greater Sacramento area, and is the place more people trust for quality, service, and a large selection of Mercedes-Benz vehicles. Von Housen Automotive Group operates three Mercedes-Benz dealerships in Northern California, including Mercedes-Benz of Sacramento, Mercedes-Benz of Rocklin and Mercedes-Benz of El Dorado Hills. The group also owns Mercedes-Benz Sprinter dealerships in both Rocklin and Sacramento. Mercedes-Benz of North America Von Housen Automotive Group has more than 300 dedicated employees and sells approximately $301,000,000 in new and used vehicles, parts and service annually. The team is also a leader in supporting community, philanthropic and non-profit initiatives. Stop by Mercedes-Benz of El Dorado Hills to experience a wide selection of Mercedes-Benz luxury cars, presented by Northern California’s leading team of sales advisors. Reach us online, or give us a call. IIHS Top Safety Pick+. Only 33,382 Miles! Boasts 26 Highway MPG and 17 City MPG! Dealer Certified Pre-Owned. This Mercedes-Benz E-Class boasts a Twin Turbo Premium Unleaded V-8 4.7 L/285 engine powering this Automatic transmission. Window Grid Antenna, Wheels: 18 AMG® Twin 5-Spoke Alloy (660), Valet Function. * This Mercedes-Benz E-Class Features the Following Options *Trunk Rear Cargo Access, Trip Computer, Transmission: 7-Speed Automatic -inc: sport and economy shift modes and steering wheel shift paddles, Transmission w/Driver Selectable Mode and TouchShift Sequential Shift Control w/Steering Wheel Controls, Tracker System, Tires: P235/40R18 Fr & P255/35R18 Rr AS, Tire Specific Low Tire Pressure Warning, Systems Monitor, Strut Front Suspension w/Coil Springs, Side Impact Beams. * Know You're Making a Reliable Purchase *Mercedes Benz of El Dorado Hills graded the Overall Condition of this vehicle as Excellent. Clean, non-smoker interior! * Visit Us Today *For a must-own Mercedes-Benz E-Class come see us at Mercedes Benz of El Dorado Hills, 1000 Mercedes Lane, El Dorado Hills, CA 95762. Just minutes away! *Golden Rule*We are a Golden Rule company dedicating ourselves to world-class customer service in an environment of trust, dignity, and fun. George Grinzewitsch, CEO and Owner, Von Housen Automotive Group For more than 60 years, Von Housen Automotive Group has delivered high-end luxury vehicles to discerning clients throughout the greater Sacramento area, and is the place more people trust for quality, service, and a large selection of Mercedes-Benz vehicles. Von Housen Automotive Group operates three Mercedes-Benz dealerships in Northern California, including Mercedes-Benz of Sacramento, Mercedes-Benz of Rocklin and Mercedes-Benz of El Dorado Hills. The group also owns Mercedes-Benz Sprinter dealerships in both Rocklin and Sacramento. Mercedes-Benz of North America Von Housen Automotive Group has more than 300 dedicated employees and sells approximately $301,000,000 in new and used vehicles, parts and service annually. The team is also a leader in supporting community, philanthropic and non-profit initiatives. Stop by Mercedes-Benz of El Dorado Hills to experience a wide selection of Mercedes-Benz luxury cars, presented by Northern California’s leading team of sales advisors. Reach us online, or give us a call.IIHS Top Safety Pick+. Only 33,382 Miles! Boasts 26 Highway MPG and 17 City MPG! Dealer Certified Pre-Owned. This Mercedes-Benz E-Class boasts a Twin Turbo Premium Unleaded V-8 4.7 L/285 engine powering this Automatic transmission. Window Grid Antenna, Wheels: 18 AMG® Twin 5-Spoke Alloy (660), Valet Function. * This Mercedes-Benz E-Class Features the Following Options *Trunk Rear Cargo Access, Trip Computer, Transmission: 7-Speed Automatic -inc: sport and economy shift modes and steering wheel shift paddles, Transmission w/Driver Selectable Mode and TouchShift Sequential Shift Control w/Steering Wheel Controls, Tracker System, Tires: P235/40R18 Fr & P255/35R18 Rr AS, Tire Specific Low Tire Pressure Warning, Systems Monitor, Strut Front Suspension w/Coil Springs, Side Impact Beams. * Know You're Making a Reliable Purchase *Mercedes Benz of El Dorado Hills graded the Overall Condition of this vehicle as Excellent. Clean, non-smoker interior! * Visit Us Today *For a must-own Mercedes-Benz E-Class come see us at Mercedes Benz of El Dorado Hills, 1000 Mercedes Lane, El Dorado Hills, CA 95762. Just minutes away! *Golden Rule*We are a Golden Rule company dedicating ourselves to world-class customer service in an environment of trust, dignity, and fun. George Grinzewitsch, CEO and Owner, Von Housen Automotive Group For more than 60 years, Von Housen Automotive Group has delivered high-end luxury vehicles to discerning clients throughout the greater Sacramento area, and is the place more people trust for quality, service, and a large selection of Mercedes-Benz vehicles. Von Housen Automotive Group operates three Mercedes-Benz dealerships in Northern California, including Mercedes-Benz of Sacramento, Mercedes-Benz of Rocklin and Mercedes-Benz of El Dorado Hills. The group also owns Mercedes-Benz Sprinter dealerships in both Rocklin and Sacramento. Mercedes-Benz of North America Von Housen Automotive Group has more than 300 dedicated employees and sells approximately $301,000,000 in new and used vehicles, parts and service annually. The team is also a leader in supporting community, philanthropic and non-profit initiatives. Stop by Mercedes-Benz of El Dorado Hills to experience a wide selection of Mercedes-Benz luxury cars, presented by Northern California’s leading team of sales advisors. Reach us online, or give us a call. Only 28,630 Miles! Delivers 29 Highway MPG and 20 City MPG! Dealer Certified Pre-Owned. This Mercedes-Benz E-Class boasts a Premium Unleaded V-6 3.5 L/213 engine powering this Automatic transmission. Window Grid Antenna, Valet Function, Trunk Rear Cargo Access. *This Mercedes-Benz E-Class Comes Equipped with These Options *Trip Computer, Transmission: Driver-Adaptive 7-Speed Automatic -inc: sport and economy shift modes and steering wheel shift paddles, Tracker System, Tires: P245/45R17 AS, Tire Specific Low Tire Pressure Warning, Systems Monitor, Strut Front Suspension w/Coil Springs, Steel Spare Wheel, Side Impact Beams, Selective Service Internet Access. * Know You're Making a Reliable Purchase *Mercedes Benz of El Dorado Hills graded the Overall Condition of this vehicle as Excellent. Non-smoker vehicle! * Visit Us Today *Test drive this must-see, must-drive, must-own beauty today at Mercedes Benz of El Dorado Hills, 1000 Mercedes Lane, El Dorado Hills, CA 95762. *Golden Rule*We are a Golden Rule company dedicating ourselves to world-class customer service in an environment of trust, dignity, and fun. George Grinzewitsch, CEO and Owner, Von Housen Automotive Group For more than 60 years, Von Housen Automotive Group has delivered high-end luxury vehicles to discerning clients throughout the greater Sacramento area, and is the place more people trust for quality, service, and a large selection of Mercedes-Benz vehicles. Von Housen Automotive Group operates three Mercedes-Benz dealerships in Northern California, including Mercedes-Benz of Sacramento, Mercedes-Benz of Rocklin and Mercedes-Benz of El Dorado Hills. The group also owns Mercedes-Benz Sprinter dealerships in both Rocklin and Sacramento. Mercedes-Benz of North America Von Housen Automotive Group has more than 300 dedicated employees and sells approximately $301,000,000 in new and used vehicles, parts and service annually. The team is also a leader in supporting community, philanthropic and non-profit initiatives. Stop by Mercedes-Benz of El Dorado Hills to experience a wide selection of Mercedes-Benz luxury cars, presented by Northern California’s leading team of sales advisors. Reach us online, or give us a call.Only 28,630 Miles! Delivers 29 Highway MPG and 20 City MPG! Dealer Certified Pre-Owned. This Mercedes-Benz E-Class boasts a Premium Unleaded V-6 3.5 L/213 engine powering this Automatic transmission. Window Grid Antenna, Valet Function, Trunk Rear Cargo Access. *This Mercedes-Benz E-Class Comes Equipped with These Options *Trip Computer, Transmission: Driver-Adaptive 7-Speed Automatic -inc: sport and economy shift modes and steering wheel shift paddles, Tracker System, Tires: P245/45R17 AS, Tire Specific Low Tire Pressure Warning, Systems Monitor, Strut Front Suspension w/Coil Springs, Steel Spare Wheel, Side Impact Beams, Selective Service Internet Access. * Know You're Making a Reliable Purchase *Mercedes Benz of El Dorado Hills graded the Overall Condition of this vehicle as Excellent. Non-smoker vehicle! * Visit Us Today *Test drive this must-see, must-drive, must-own beauty today at Mercedes Benz of El Dorado Hills, 1000 Mercedes Lane, El Dorado Hills, CA 95762. *Golden Rule*We are a Golden Rule company dedicating ourselves to world-class customer service in an environment of trust, dignity, and fun. George Grinzewitsch, CEO and Owner, Von Housen Automotive Group For more than 60 years, Von Housen Automotive Group has delivered high-end luxury vehicles to discerning clients throughout the greater Sacramento area, and is the place more people trust for quality, service, and a large selection of Mercedes-Benz vehicles. Von Housen Automotive Group operates three Mercedes-Benz dealerships in Northern California, including Mercedes-Benz of Sacramento, Mercedes-Benz of Rocklin and Mercedes-Benz of El Dorado Hills. The group also owns Mercedes-Benz Sprinter dealerships in both Rocklin and Sacramento. Mercedes-Benz of North America Von Housen Automotive Group has more than 300 dedicated employees and sells approximately $301,000,000 in new and used vehicles, parts and service annually. The team is also a leader in supporting community, philanthropic and non-profit initiatives. Stop by Mercedes-Benz of El Dorado Hills to experience a wide selection of Mercedes-Benz luxury cars, presented by Northern California’s leading team of sales advisors. Reach us online, or give us a call. IIHS Top Safety Pick+. Delivers 29 Highway MPG and 20 City MPG! Carfax One-Owner Vehicle. Dealer Certified Pre-Owned. This Mercedes-Benz E-Class delivers a Premium Unleaded V-6 3.5 L/213 engine powering this Automatic transmission. HEATED FRONT SEATS, LANE TRACKING PACKAGE -inc: Lane Keeping Assist Package Code, Blind Spot Assist, Lane Keeping Assist, REARVIEW CAMERA. * This Mercedes-Benz E-Class Features the Following Options *PREMIUM PACKAGE -inc: COMAND® Navigation, hard-drive navigation and 10GB music register w/multi-year update, Power Rear-Window Sunshade, Split-Folding Rear Seats, Heated Front Seats, SIRIUS Satellite Radio, SiriusXM Traffic and SiriusXM Weather (w/6 month trial for radio and 3 years for traffic and weather), Multi-Year Update, Mirror Package, Power Folding Mirrors, harman/kardon® Logic 7® Surround Sound System, Dolby Digital 5.1, KEYLESS GO PACKAGE -inc: KEYLESS GO Adds chrome to exterior door handles, Control Code, Hands-Free Access, Electronic Trunk Closer , Window Grid Antenna, Wheels: 17 Split 5-Spoke Alloy, Valet Function, Trunk Rear Cargo Access, Trip Computer, Transmission: Driver-Adaptive 7-Speed Automatic -inc: sport and economy shift modes and steering wheel shift paddles, Tracker System, Tires: P245/45R17 AS. * Feel Confident About Your Choice *According to Carfax's history report: Carfax One-Owner Vehicle. Mercedes Benz of El Dorado Hills graded the Overall Condition of this vehicle as Excellent. This vehicle has never been smoked in! 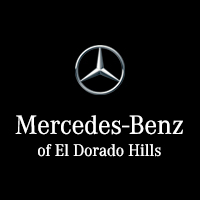 * Visit Us Today *A short visit to Mercedes Benz of El Dorado Hills located at 1000 Mercedes Lane, El Dorado Hills, CA 95762 can get you a trustworthy E-Class today! *Golden Rule*We are a Golden Rule company dedicating ourselves to world-class customer service in an environment of trust, dignity, and fun. George Grinzewitsch, CEO and Owner, Von Housen Automotive Group For more than 60 years, Von Housen Automotive Group has delivered high-end luxury vehicles to discerning clients throughout the greater Sacramento area, and is the place more people trust for quality, service, and a large selection of Mercedes-Benz vehicles. Von Housen Automotive Group operates three Mercedes-Benz dealerships in Northern California, including Mercedes-Benz of Sacramento, Mercedes-Benz of Rocklin and Mercedes-Benz of El Dorado Hills. The group also owns Mercedes-Benz Sprinter dealerships in both Rocklin and Sacramento. Mercedes-Benz of North America Von Housen Automotive Group has more than 300 dedicated employees and sells approximately $301,000,000 in new and used vehicles, parts and service annually. The team is also a leader in supporting community, philanthropic and non-profit initiatives. Stop by Mercedes-Benz of El Dorado Hills to experience a wide selection of Mercedes-Benz luxury cars, presented by Northern California’s leading team of sales advisors. Reach us online, or give us a call.IIHS Top Safety Pick+. Delivers 29 Highway MPG and 20 City MPG! Carfax One-Owner Vehicle. Dealer Certified Pre-Owned. This Mercedes-Benz E-Class delivers a Premium Unleaded V-6 3.5 L/213 engine powering this Automatic transmission. HEATED FRONT SEATS, LANE TRACKING PACKAGE -inc: Lane Keeping Assist Package Code, Blind Spot Assist, Lane Keeping Assist, REARVIEW CAMERA. * This Mercedes-Benz E-Class Features the Following Options *PREMIUM PACKAGE -inc: COMAND® Navigation, hard-drive navigation and 10GB music register w/multi-year update, Power Rear-Window Sunshade, Split-Folding Rear Seats, Heated Front Seats, SIRIUS Satellite Radio, SiriusXM Traffic and SiriusXM Weather (w/6 month trial for radio and 3 years for traffic and weather), Multi-Year Update, Mirror Package, Power Folding Mirrors, harman/kardon® Logic 7® Surround Sound System, Dolby Digital 5.1, KEYLESS GO PACKAGE -inc: KEYLESS GO Adds chrome to exterior door handles, Control Code, Hands-Free Access, Electronic Trunk Closer , Window Grid Antenna, Wheels: 17 Split 5-Spoke Alloy, Valet Function, Trunk Rear Cargo Access, Trip Computer, Transmission: Driver-Adaptive 7-Speed Automatic -inc: sport and economy shift modes and steering wheel shift paddles, Tracker System, Tires: P245/45R17 AS. * Feel Confident About Your Choice *According to Carfax's history report: Carfax One-Owner Vehicle. Mercedes Benz of El Dorado Hills graded the Overall Condition of this vehicle as Excellent. This vehicle has never been smoked in! * Visit Us Today *A short visit to Mercedes Benz of El Dorado Hills located at 1000 Mercedes Lane, El Dorado Hills, CA 95762 can get you a trustworthy E-Class today! *Golden Rule*We are a Golden Rule company dedicating ourselves to world-class customer service in an environment of trust, dignity, and fun. George Grinzewitsch, CEO and Owner, Von Housen Automotive Group For more than 60 years, Von Housen Automotive Group has delivered high-end luxury vehicles to discerning clients throughout the greater Sacramento area, and is the place more people trust for quality, service, and a large selection of Mercedes-Benz vehicles. Von Housen Automotive Group operates three Mercedes-Benz dealerships in Northern California, including Mercedes-Benz of Sacramento, Mercedes-Benz of Rocklin and Mercedes-Benz of El Dorado Hills. The group also owns Mercedes-Benz Sprinter dealerships in both Rocklin and Sacramento. Mercedes-Benz of North America Von Housen Automotive Group has more than 300 dedicated employees and sells approximately $301,000,000 in new and used vehicles, parts and service annually. The team is also a leader in supporting community, philanthropic and non-profit initiatives. Stop by Mercedes-Benz of El Dorado Hills to experience a wide selection of Mercedes-Benz luxury cars, presented by Northern California’s leading team of sales advisors. Reach us online, or give us a call. Scores 34 Highway MPG and 24 City MPG! Dealer Certified Pre-Owned. This Mercedes-Benz C-Class boasts a Intercooled Turbo Premium Unleaded I-4 2.0 L/121 engine powering this Automatic transmission. Window Grid Antenna, Valet Function, Urethane Gear Shift Knob. * This Mercedes-Benz C-Class Features the Following Options *Trunk Rear Cargo Access, Trip Computer, Transmission: 7G-TRONIC PLUS 7-Speed Automatic -inc: paddle shifters, Tracker System, Tire Specific Low Tire Pressure Warning, Systems Monitor, Strut Front Suspension w/Coil Springs, Smart Device Integration, Single CD Player, Side Impact Beams. * Know You're Making a Reliable Purchase *Mercedes Benz of El Dorado Hills graded the Overall Condition of this vehicle as Excellent. Non-smoker vehicle! * Visit Us Today *Stop by Mercedes Benz of El Dorado Hills located at 1000 Mercedes Lane, El Dorado Hills, CA 95762 for a quick visit and a great vehicle! *Golden Rule*We are a Golden Rule company dedicating ourselves to world-class customer service in an environment of trust, dignity, and fun. George Grinzewitsch, CEO and Owner, Von Housen Automotive Group For more than 60 years, Von Housen Automotive Group has delivered high-end luxury vehicles to discerning clients throughout the greater Sacramento area, and is the place more people trust for quality, service, and a large selection of Mercedes-Benz vehicles. Von Housen Automotive Group operates three Mercedes-Benz dealerships in Northern California, including Mercedes-Benz of Sacramento, Mercedes-Benz of Rocklin and Mercedes-Benz of El Dorado Hills. The group also owns Mercedes-Benz Sprinter dealerships in both Rocklin and Sacramento. Mercedes-Benz of North America Von Housen Automotive Group has more than 300 dedicated employees and sells approximately $301,000,000 in new and used vehicles, parts and service annually. The team is also a leader in supporting community, philanthropic and non-profit initiatives. Stop by Mercedes-Benz of El Dorado Hills to experience a wide selection of Mercedes-Benz luxury cars, presented by Northern California’s leading team of sales advisors. Reach us online, or give us a call.Scores 34 Highway MPG and 24 City MPG! Dealer Certified Pre-Owned. This Mercedes-Benz C-Class boasts a Intercooled Turbo Premium Unleaded I-4 2.0 L/121 engine powering this Automatic transmission. Window Grid Antenna, Valet Function, Urethane Gear Shift Knob. * This Mercedes-Benz C-Class Features the Following Options *Trunk Rear Cargo Access, Trip Computer, Transmission: 7G-TRONIC PLUS 7-Speed Automatic -inc: paddle shifters, Tracker System, Tire Specific Low Tire Pressure Warning, Systems Monitor, Strut Front Suspension w/Coil Springs, Smart Device Integration, Single CD Player, Side Impact Beams. * Know You're Making a Reliable Purchase *Mercedes Benz of El Dorado Hills graded the Overall Condition of this vehicle as Excellent. Non-smoker vehicle! * Visit Us Today *Stop by Mercedes Benz of El Dorado Hills located at 1000 Mercedes Lane, El Dorado Hills, CA 95762 for a quick visit and a great vehicle! *Golden Rule*We are a Golden Rule company dedicating ourselves to world-class customer service in an environment of trust, dignity, and fun. George Grinzewitsch, CEO and Owner, Von Housen Automotive Group For more than 60 years, Von Housen Automotive Group has delivered high-end luxury vehicles to discerning clients throughout the greater Sacramento area, and is the place more people trust for quality, service, and a large selection of Mercedes-Benz vehicles. Von Housen Automotive Group operates three Mercedes-Benz dealerships in Northern California, including Mercedes-Benz of Sacramento, Mercedes-Benz of Rocklin and Mercedes-Benz of El Dorado Hills. The group also owns Mercedes-Benz Sprinter dealerships in both Rocklin and Sacramento. Mercedes-Benz of North America Von Housen Automotive Group has more than 300 dedicated employees and sells approximately $301,000,000 in new and used vehicles, parts and service annually. The team is also a leader in supporting community, philanthropic and non-profit initiatives. Stop by Mercedes-Benz of El Dorado Hills to experience a wide selection of Mercedes-Benz luxury cars, presented by Northern California’s leading team of sales advisors. Reach us online, or give us a call. Scores 34 Highway MPG and 25 City MPG! Dealer Certified Pre-Owned. This Mercedes-Benz C-Class delivers a Intercooled Turbo Premium Unleaded I-4 2.0 L/121 engine powering this Automatic transmission. Window Grid Antenna, Valet Function, Urethane Gear Shift Knob. * This Mercedes-Benz C-Class Features the Following Options *Trunk Rear Cargo Access, Trip Computer, Transmission: 7-Speed Automatic 7G-TRONIC Plus, Tracker System, Tire Specific Low Tire Pressure Warning, Systems Monitor, Strut Front Suspension w/Coil Springs, Smart Device Integration, Side Impact Beams, Seats w/Leatherette Back Material. * Feel Confident About Your Choice *Mercedes Benz of El Dorado Hills graded the Overall Condition of this vehicle as Excellent. Clean, non-smoker interior! * Stop By Today *Come in for a quick visit at Mercedes Benz of El Dorado Hills, 1000 Mercedes Lane, El Dorado Hills, CA 95762 to claim your Mercedes-Benz C-Class! *Golden Rule*We are a Golden Rule company dedicating ourselves to world-class customer service in an environment of trust, dignity, and fun. George Grinzewitsch, CEO and Owner, Von Housen Automotive Group For more than 60 years, Von Housen Automotive Group has delivered high-end luxury vehicles to discerning clients throughout the greater Sacramento area, and is the place more people trust for quality, service, and a large selection of Mercedes-Benz vehicles. Von Housen Automotive Group operates three Mercedes-Benz dealerships in Northern California, including Mercedes-Benz of Sacramento, Mercedes-Benz of Rocklin and Mercedes-Benz of El Dorado Hills. The group also owns Mercedes-Benz Sprinter dealerships in both Rocklin and Sacramento. Mercedes-Benz of North America Von Housen Automotive Group has more than 300 dedicated employees and sells approximately $301,000,000 in new and used vehicles, parts and service annually. The team is also a leader in supporting community, philanthropic and non-profit initiatives. Stop by Mercedes-Benz of El Dorado Hills to experience a wide selection of Mercedes-Benz luxury cars, presented by Northern California’s leading team of sales advisors. Reach us online, or give us a call.Scores 34 Highway MPG and 25 City MPG! Dealer Certified Pre-Owned. This Mercedes-Benz C-Class delivers a Intercooled Turbo Premium Unleaded I-4 2.0 L/121 engine powering this Automatic transmission. Window Grid Antenna, Valet Function, Urethane Gear Shift Knob. * This Mercedes-Benz C-Class Features the Following Options *Trunk Rear Cargo Access, Trip Computer, Transmission: 7-Speed Automatic 7G-TRONIC Plus, Tracker System, Tire Specific Low Tire Pressure Warning, Systems Monitor, Strut Front Suspension w/Coil Springs, Smart Device Integration, Side Impact Beams, Seats w/Leatherette Back Material. * Feel Confident About Your Choice *Mercedes Benz of El Dorado Hills graded the Overall Condition of this vehicle as Excellent. Clean, non-smoker interior! * Stop By Today *Come in for a quick visit at Mercedes Benz of El Dorado Hills, 1000 Mercedes Lane, El Dorado Hills, CA 95762 to claim your Mercedes-Benz C-Class! *Golden Rule*We are a Golden Rule company dedicating ourselves to world-class customer service in an environment of trust, dignity, and fun. George Grinzewitsch, CEO and Owner, Von Housen Automotive Group For more than 60 years, Von Housen Automotive Group has delivered high-end luxury vehicles to discerning clients throughout the greater Sacramento area, and is the place more people trust for quality, service, and a large selection of Mercedes-Benz vehicles. Von Housen Automotive Group operates three Mercedes-Benz dealerships in Northern California, including Mercedes-Benz of Sacramento, Mercedes-Benz of Rocklin and Mercedes-Benz of El Dorado Hills. The group also owns Mercedes-Benz Sprinter dealerships in both Rocklin and Sacramento. Mercedes-Benz of North America Von Housen Automotive Group has more than 300 dedicated employees and sells approximately $301,000,000 in new and used vehicles, parts and service annually. The team is also a leader in supporting community, philanthropic and non-profit initiatives. Stop by Mercedes-Benz of El Dorado Hills to experience a wide selection of Mercedes-Benz luxury cars, presented by Northern California’s leading team of sales advisors. Reach us online, or give us a call. Only 28,692 Miles! Delivers 34 Highway MPG and 25 City MPG! Dealer Certified Pre-Owned. This Mercedes-Benz C-Class boasts a Intercooled Turbo Premium Unleaded I-4 2.0 L/121 engine powering this Automatic transmission. Window Grid Antenna, Valet Function, Urethane Gear Shift Knob. * This Mercedes-Benz C-Class Features the Following Options *Trunk Rear Cargo Access, Trip Computer, Transmission: 7-Speed Automatic 7G-TRONIC Plus, Tracker System, Tire Specific Low Tire Pressure Warning, Systems Monitor, Strut Front Suspension w/Coil Springs, Smart Device Integration, Side Impact Beams, Seats w/Leatherette Back Material. * Know You're Making a Reliable Purchase *Mercedes Benz of El Dorado Hills graded the Overall Condition of this vehicle as Excellent. This vehicle has never been smoked in! * Stop By Today *For a must-own Mercedes-Benz C-Class come see us at Mercedes Benz of El Dorado Hills, 1000 Mercedes Lane, El Dorado Hills, CA 95762. Just minutes away! *Golden Rule*We are a Golden Rule company dedicating ourselves to world-class customer service in an environment of trust, dignity, and fun. George Grinzewitsch, CEO and Owner, Von Housen Automotive Group For more than 60 years, Von Housen Automotive Group has delivered high-end luxury vehicles to discerning clients throughout the greater Sacramento area, and is the place more people trust for quality, service, and a large selection of Mercedes-Benz vehicles. Von Housen Automotive Group operates three Mercedes-Benz dealerships in Northern California, including Mercedes-Benz of Sacramento, Mercedes-Benz of Rocklin and Mercedes-Benz of El Dorado Hills. The group also owns Mercedes-Benz Sprinter dealerships in both Rocklin and Sacramento. Mercedes-Benz of North America Von Housen Automotive Group has more than 300 dedicated employees and sells approximately $301,000,000 in new and used vehicles, parts and service annually. The team is also a leader in supporting community, philanthropic and non-profit initiatives. Stop by Mercedes-Benz of El Dorado Hills to experience a wide selection of Mercedes-Benz luxury cars, presented by Northern California’s leading team of sales advisors. Reach us online, or give us a call.Only 28,692 Miles! Delivers 34 Highway MPG and 25 City MPG! Dealer Certified Pre-Owned. This Mercedes-Benz C-Class boasts a Intercooled Turbo Premium Unleaded I-4 2.0 L/121 engine powering this Automatic transmission. Window Grid Antenna, Valet Function, Urethane Gear Shift Knob. * This Mercedes-Benz C-Class Features the Following Options *Trunk Rear Cargo Access, Trip Computer, Transmission: 7-Speed Automatic 7G-TRONIC Plus, Tracker System, Tire Specific Low Tire Pressure Warning, Systems Monitor, Strut Front Suspension w/Coil Springs, Smart Device Integration, Side Impact Beams, Seats w/Leatherette Back Material. * Know You're Making a Reliable Purchase *Mercedes Benz of El Dorado Hills graded the Overall Condition of this vehicle as Excellent. This vehicle has never been smoked in! * Stop By Today *For a must-own Mercedes-Benz C-Class come see us at Mercedes Benz of El Dorado Hills, 1000 Mercedes Lane, El Dorado Hills, CA 95762. Just minutes away! *Golden Rule*We are a Golden Rule company dedicating ourselves to world-class customer service in an environment of trust, dignity, and fun. George Grinzewitsch, CEO and Owner, Von Housen Automotive Group For more than 60 years, Von Housen Automotive Group has delivered high-end luxury vehicles to discerning clients throughout the greater Sacramento area, and is the place more people trust for quality, service, and a large selection of Mercedes-Benz vehicles. Von Housen Automotive Group operates three Mercedes-Benz dealerships in Northern California, including Mercedes-Benz of Sacramento, Mercedes-Benz of Rocklin and Mercedes-Benz of El Dorado Hills. The group also owns Mercedes-Benz Sprinter dealerships in both Rocklin and Sacramento. Mercedes-Benz of North America Von Housen Automotive Group has more than 300 dedicated employees and sells approximately $301,000,000 in new and used vehicles, parts and service annually. The team is also a leader in supporting community, philanthropic and non-profit initiatives. Stop by Mercedes-Benz of El Dorado Hills to experience a wide selection of Mercedes-Benz luxury cars, presented by Northern California’s leading team of sales advisors. Reach us online, or give us a call. Only 13,941 Miles! Delivers 34 Highway MPG and 25 City MPG! Dealer Certified Pre-Owned. This Mercedes-Benz C-Class delivers a Intercooled Turbo Premium Unleaded I-4 2.0 L/121 engine powering this Automatic transmission. Window Grid Antenna, Valet Function, Urethane Gear Shift Knob. *This Mercedes-Benz C-Class Comes Equipped with These Options *Trunk Rear Cargo Access, Trip Computer, Transmission: 7-Speed Automatic 7G-TRONIC Plus, Tracker System, Tire Specific Low Tire Pressure Warning, Systems Monitor, Strut Front Suspension w/Coil Springs, Smart Device Integration, Side Impact Beams, Seats w/Leatherette Back Material. * Feel Confident About Your Choice *Mercedes Benz of El Dorado Hills graded the Overall Condition of this vehicle as Excellent. Non-smoker vehicle! * Stop By Today *Stop by Mercedes Benz of El Dorado Hills located at 1000 Mercedes Lane, El Dorado Hills, CA 95762 for a quick visit and a great vehicle! *Golden Rule*We are a Golden Rule company dedicating ourselves to world-class customer service in an environment of trust, dignity, and fun. George Grinzewitsch, CEO and Owner, Von Housen Automotive Group For more than 60 years, Von Housen Automotive Group has delivered high-end luxury vehicles to discerning clients throughout the greater Sacramento area, and is the place more people trust for quality, service, and a large selection of Mercedes-Benz vehicles. Von Housen Automotive Group operates three Mercedes-Benz dealerships in Northern California, including Mercedes-Benz of Sacramento, Mercedes-Benz of Rocklin and Mercedes-Benz of El Dorado Hills. The group also owns Mercedes-Benz Sprinter dealerships in both Rocklin and Sacramento. Mercedes-Benz of North America Von Housen Automotive Group has more than 300 dedicated employees and sells approximately $301,000,000 in new and used vehicles, parts and service annually. The team is also a leader in supporting community, philanthropic and non-profit initiatives. Stop by Mercedes-Benz of El Dorado Hills to experience a wide selection of Mercedes-Benz luxury cars, presented by Northern California’s leading team of sales advisors. Reach us online, or give us a call.Only 13,941 Miles! Delivers 34 Highway MPG and 25 City MPG! Dealer Certified Pre-Owned. This Mercedes-Benz C-Class delivers a Intercooled Turbo Premium Unleaded I-4 2.0 L/121 engine powering this Automatic transmission. Window Grid Antenna, Valet Function, Urethane Gear Shift Knob. *This Mercedes-Benz C-Class Comes Equipped with These Options *Trunk Rear Cargo Access, Trip Computer, Transmission: 7-Speed Automatic 7G-TRONIC Plus, Tracker System, Tire Specific Low Tire Pressure Warning, Systems Monitor, Strut Front Suspension w/Coil Springs, Smart Device Integration, Side Impact Beams, Seats w/Leatherette Back Material. * Feel Confident About Your Choice *Mercedes Benz of El Dorado Hills graded the Overall Condition of this vehicle as Excellent. Non-smoker vehicle! * Stop By Today *Stop by Mercedes Benz of El Dorado Hills located at 1000 Mercedes Lane, El Dorado Hills, CA 95762 for a quick visit and a great vehicle! *Golden Rule*We are a Golden Rule company dedicating ourselves to world-class customer service in an environment of trust, dignity, and fun. George Grinzewitsch, CEO and Owner, Von Housen Automotive Group For more than 60 years, Von Housen Automotive Group has delivered high-end luxury vehicles to discerning clients throughout the greater Sacramento area, and is the place more people trust for quality, service, and a large selection of Mercedes-Benz vehicles. Von Housen Automotive Group operates three Mercedes-Benz dealerships in Northern California, including Mercedes-Benz of Sacramento, Mercedes-Benz of Rocklin and Mercedes-Benz of El Dorado Hills. The group also owns Mercedes-Benz Sprinter dealerships in both Rocklin and Sacramento. Mercedes-Benz of North America Von Housen Automotive Group has more than 300 dedicated employees and sells approximately $301,000,000 in new and used vehicles, parts and service annually. The team is also a leader in supporting community, philanthropic and non-profit initiatives. Stop by Mercedes-Benz of El Dorado Hills to experience a wide selection of Mercedes-Benz luxury cars, presented by Northern California’s leading team of sales advisors. Reach us online, or give us a call. Only 28,960 Miles! Boasts 26 Highway MPG and 17 City MPG! Dealer Certified Pre-Owned. This Mercedes-Benz S-Class boasts a Twin Turbo Premium Unleaded V-8 4.7 L/285 engine powering this Automatic transmission. Window Grid Diversity Antenna, Wheels: 18 Twin 5-Spoke, Ventilated Front Seats. * This Mercedes-Benz S-Class Features the Following Options *Valet Function, Urethane Gear Shift Knob, Turn-By-Turn Navigation Directions, Trunk/Hatch Auto-Latch, Trip Computer, Transmission: 7-Speed Automatic -inc: Driver-adaptive w/sport and comfort shift modes, Transmission w/Sequential Shift Control w/Steering Wheel Controls and Oil Cooler, Tracker System, Tires: 18 5-Spoke Wheels, Tire Specific Low Tire Pressure Warning. * Feel Confident About Your Choice *Mercedes Benz of El Dorado Hills graded the Overall Condition of this vehicle as Excellent. Clean, non-smoker interior! * Visit Us Today *Stop by Mercedes Benz of El Dorado Hills located at 1000 Mercedes Lane, El Dorado Hills, CA 95762 for a quick visit and a great vehicle! *Golden Rule*We are a Golden Rule company dedicating ourselves to world-class customer service in an environment of trust, dignity, and fun. George Grinzewitsch, CEO and Owner, Von Housen Automotive Group For more than 60 years, Von Housen Automotive Group has delivered high-end luxury vehicles to discerning clients throughout the greater Sacramento area, and is the place more people trust for quality, service, and a large selection of Mercedes-Benz vehicles. Von Housen Automotive Group operates three Mercedes-Benz dealerships in Northern California, including Mercedes-Benz of Sacramento, Mercedes-Benz of Rocklin and Mercedes-Benz of El Dorado Hills. The group also owns Mercedes-Benz Sprinter dealerships in both Rocklin and Sacramento. Mercedes-Benz of North America Von Housen Automotive Group has more than 300 dedicated employees and sells approximately $301,000,000 in new and used vehicles, parts and service annually. The team is also a leader in supporting community, philanthropic and non-profit initiatives. Stop by Mercedes-Benz of El Dorado Hills to experience a wide selection of Mercedes-Benz luxury cars, presented by Northern California’s leading team of sales advisors. Reach us online, or give us a call.Only 28,960 Miles! Boasts 26 Highway MPG and 17 City MPG! Dealer Certified Pre-Owned. This Mercedes-Benz S-Class boasts a Twin Turbo Premium Unleaded V-8 4.7 L/285 engine powering this Automatic transmission. Window Grid Diversity Antenna, Wheels: 18 Twin 5-Spoke, Ventilated Front Seats. * This Mercedes-Benz S-Class Features the Following Options *Valet Function, Urethane Gear Shift Knob, Turn-By-Turn Navigation Directions, Trunk/Hatch Auto-Latch, Trip Computer, Transmission: 7-Speed Automatic -inc: Driver-adaptive w/sport and comfort shift modes, Transmission w/Sequential Shift Control w/Steering Wheel Controls and Oil Cooler, Tracker System, Tires: 18 5-Spoke Wheels, Tire Specific Low Tire Pressure Warning. * Feel Confident About Your Choice *Mercedes Benz of El Dorado Hills graded the Overall Condition of this vehicle as Excellent. Clean, non-smoker interior! * Visit Us Today *Stop by Mercedes Benz of El Dorado Hills located at 1000 Mercedes Lane, El Dorado Hills, CA 95762 for a quick visit and a great vehicle! *Golden Rule*We are a Golden Rule company dedicating ourselves to world-class customer service in an environment of trust, dignity, and fun. George Grinzewitsch, CEO and Owner, Von Housen Automotive Group For more than 60 years, Von Housen Automotive Group has delivered high-end luxury vehicles to discerning clients throughout the greater Sacramento area, and is the place more people trust for quality, service, and a large selection of Mercedes-Benz vehicles. Von Housen Automotive Group operates three Mercedes-Benz dealerships in Northern California, including Mercedes-Benz of Sacramento, Mercedes-Benz of Rocklin and Mercedes-Benz of El Dorado Hills. The group also owns Mercedes-Benz Sprinter dealerships in both Rocklin and Sacramento. Mercedes-Benz of North America Von Housen Automotive Group has more than 300 dedicated employees and sells approximately $301,000,000 in new and used vehicles, parts and service annually. The team is also a leader in supporting community, philanthropic and non-profit initiatives. Stop by Mercedes-Benz of El Dorado Hills to experience a wide selection of Mercedes-Benz luxury cars, presented by Northern California’s leading team of sales advisors. Reach us online, or give us a call. IIHS Top Safety Pick+. Only 34,929 Miles! Boasts 29 Highway MPG and 21 City MPG! Dealer Certified Pre-Owned. This Mercedes-Benz C-Class boasts a Twin Turbo Premium Unleaded V-6 3.0 L/183 engine powering this Automatic transmission. Window Grid Antenna, Wheels: 18 AMG® 5-Spoke Alloy -inc: 7.5J x 18 front and 8.5J x 18 rear, Valet Function. * This Mercedes-Benz C-Class Features the Following Options *Urethane Gear Shift Knob, Trunk Rear Cargo Access, Trip Computer, Transmission: 7-Speed Automatic 7G-TRONIC Plus, Transmission w/Driver Selectable Mode and AMG® SPEEDSHIFT® PLUS Sequential Shift Control w/Steering Wheel Controls, Tracker System, Tires: 18 All Season, Tire Specific Low Tire Pressure Warning, Systems Monitor, Strut Front Suspension w/Coil Springs. * Know You're Making a Reliable Purchase *Mercedes Benz of El Dorado Hills graded the Overall Condition of this vehicle as Excellent. Non-smoker vehicle! * Stop By Today *Come in for a quick visit at Mercedes Benz of El Dorado Hills, 1000 Mercedes Lane, El Dorado Hills, CA 95762 to claim your Mercedes-Benz C-Class! *Golden Rule*We are a Golden Rule company dedicating ourselves to world-class customer service in an environment of trust, dignity, and fun. George Grinzewitsch, CEO and Owner, Von Housen Automotive Group For more than 60 years, Von Housen Automotive Group has delivered high-end luxury vehicles to discerning clients throughout the greater Sacramento area, and is the place more people trust for quality, service, and a large selection of Mercedes-Benz vehicles. Von Housen Automotive Group operates three Mercedes-Benz dealerships in Northern California, including Mercedes-Benz of Sacramento, Mercedes-Benz of Rocklin and Mercedes-Benz of El Dorado Hills. The group also owns Mercedes-Benz Sprinter dealerships in both Rocklin and Sacramento. Mercedes-Benz of North America Von Housen Automotive Group has more than 300 dedicated employees and sells approximately $301,000,000 in new and used vehicles, parts and service annually. The team is also a leader in supporting community, philanthropic and non-profit initiatives. Stop by Mercedes-Benz of El Dorado Hills to experience a wide selection of Mercedes-Benz luxury cars, presented by Northern California’s leading team of sales advisors. Reach us online, or give us a call.IIHS Top Safety Pick+. Only 34,929 Miles! Boasts 29 Highway MPG and 21 City MPG! Dealer Certified Pre-Owned. This Mercedes-Benz C-Class boasts a Twin Turbo Premium Unleaded V-6 3.0 L/183 engine powering this Automatic transmission. Window Grid Antenna, Wheels: 18 AMG® 5-Spoke Alloy -inc: 7.5J x 18 front and 8.5J x 18 rear, Valet Function. * This Mercedes-Benz C-Class Features the Following Options *Urethane Gear Shift Knob, Trunk Rear Cargo Access, Trip Computer, Transmission: 7-Speed Automatic 7G-TRONIC Plus, Transmission w/Driver Selectable Mode and AMG® SPEEDSHIFT® PLUS Sequential Shift Control w/Steering Wheel Controls, Tracker System, Tires: 18 All Season, Tire Specific Low Tire Pressure Warning, Systems Monitor, Strut Front Suspension w/Coil Springs. * Know You're Making a Reliable Purchase *Mercedes Benz of El Dorado Hills graded the Overall Condition of this vehicle as Excellent. Non-smoker vehicle! * Stop By Today *Come in for a quick visit at Mercedes Benz of El Dorado Hills, 1000 Mercedes Lane, El Dorado Hills, CA 95762 to claim your Mercedes-Benz C-Class! *Golden Rule*We are a Golden Rule company dedicating ourselves to world-class customer service in an environment of trust, dignity, and fun. George Grinzewitsch, CEO and Owner, Von Housen Automotive Group For more than 60 years, Von Housen Automotive Group has delivered high-end luxury vehicles to discerning clients throughout the greater Sacramento area, and is the place more people trust for quality, service, and a large selection of Mercedes-Benz vehicles. Von Housen Automotive Group operates three Mercedes-Benz dealerships in Northern California, including Mercedes-Benz of Sacramento, Mercedes-Benz of Rocklin and Mercedes-Benz of El Dorado Hills. The group also owns Mercedes-Benz Sprinter dealerships in both Rocklin and Sacramento. Mercedes-Benz of North America Von Housen Automotive Group has more than 300 dedicated employees and sells approximately $301,000,000 in new and used vehicles, parts and service annually. The team is also a leader in supporting community, philanthropic and non-profit initiatives. Stop by Mercedes-Benz of El Dorado Hills to experience a wide selection of Mercedes-Benz luxury cars, presented by Northern California’s leading team of sales advisors. Reach us online, or give us a call. IIHS Top Safety Pick. Only 19,968 Miles! Boasts 31 Highway MPG and 23 City MPG! Dealer Certified Pre-Owned. This Mercedes-Benz C-Class boasts a Intercooled Turbo Premium Unleaded I-4 2.0 L/121 engine powering this Automatic transmission. Window Grid Antenna, Wheels: 18 5-Spoke Alloy, Valet Function. * This Mercedes-Benz C-Class Features the Following Options *Urethane Gear Shift Knob, Trunk Rear Cargo Access, Trip Computer, Transmission: 9-Speed Automatic, Tracker System, Tires: 225/45R18 Fr & 245/40R18 Rr, Tire Specific Low Tire Pressure Warning, Systems Monitor, Strut Front Suspension w/Coil Springs, Steel Spare Wheel. * Know You're Making a Reliable Purchase *Mercedes Benz of El Dorado Hills graded the Overall Condition of this vehicle as Excellent. Clean, non-smoker interior! * Visit Us Today *Test drive this must-see, must-drive, must-own beauty today at Mercedes Benz of El Dorado Hills, 1000 Mercedes Lane, El Dorado Hills, CA 95762. *Golden Rule*We are a Golden Rule company dedicating ourselves to world-class customer service in an environment of trust, dignity, and fun. George Grinzewitsch, CEO and Owner, Von Housen Automotive Group For more than 60 years, Von Housen Automotive Group has delivered high-end luxury vehicles to discerning clients throughout the greater Sacramento area, and is the place more people trust for quality, service, and a large selection of Mercedes-Benz vehicles. Von Housen Automotive Group operates three Mercedes-Benz dealerships in Northern California, including Mercedes-Benz of Sacramento, Mercedes-Benz of Rocklin and Mercedes-Benz of El Dorado Hills. The group also owns Mercedes-Benz Sprinter dealerships in both Rocklin and Sacramento. Mercedes-Benz of North America Von Housen Automotive Group has more than 300 dedicated employees and sells approximately $301,000,000 in new and used vehicles, parts and service annually. The team is also a leader in supporting community, philanthropic and non-profit initiatives. Stop by Mercedes-Benz of El Dorado Hills to experience a wide selection of Mercedes-Benz luxury cars, presented by Northern California’s leading team of sales advisors. Reach us online, or give us a call.IIHS Top Safety Pick. Only 19,968 Miles! Boasts 31 Highway MPG and 23 City MPG! Dealer Certified Pre-Owned. This Mercedes-Benz C-Class boasts a Intercooled Turbo Premium Unleaded I-4 2.0 L/121 engine powering this Automatic transmission. Window Grid Antenna, Wheels: 18 5-Spoke Alloy, Valet Function. * This Mercedes-Benz C-Class Features the Following Options *Urethane Gear Shift Knob, Trunk Rear Cargo Access, Trip Computer, Transmission: 9-Speed Automatic, Tracker System, Tires: 225/45R18 Fr & 245/40R18 Rr, Tire Specific Low Tire Pressure Warning, Systems Monitor, Strut Front Suspension w/Coil Springs, Steel Spare Wheel. * Know You're Making a Reliable Purchase *Mercedes Benz of El Dorado Hills graded the Overall Condition of this vehicle as Excellent. Clean, non-smoker interior! * Visit Us Today *Test drive this must-see, must-drive, must-own beauty today at Mercedes Benz of El Dorado Hills, 1000 Mercedes Lane, El Dorado Hills, CA 95762. *Golden Rule*We are a Golden Rule company dedicating ourselves to world-class customer service in an environment of trust, dignity, and fun. George Grinzewitsch, CEO and Owner, Von Housen Automotive Group For more than 60 years, Von Housen Automotive Group has delivered high-end luxury vehicles to discerning clients throughout the greater Sacramento area, and is the place more people trust for quality, service, and a large selection of Mercedes-Benz vehicles. Von Housen Automotive Group operates three Mercedes-Benz dealerships in Northern California, including Mercedes-Benz of Sacramento, Mercedes-Benz of Rocklin and Mercedes-Benz of El Dorado Hills. The group also owns Mercedes-Benz Sprinter dealerships in both Rocklin and Sacramento. Mercedes-Benz of North America Von Housen Automotive Group has more than 300 dedicated employees and sells approximately $301,000,000 in new and used vehicles, parts and service annually. The team is also a leader in supporting community, philanthropic and non-profit initiatives. Stop by Mercedes-Benz of El Dorado Hills to experience a wide selection of Mercedes-Benz luxury cars, presented by Northern California’s leading team of sales advisors. Reach us online, or give us a call. Only 23,154 Miles! Scores 31 Highway MPG and 24 City MPG! Dealer Certified Pre-Owned. This Mercedes-Benz C-Class boasts a Intercooled Turbo Premium Unleaded I-4 2.0 L/121 engine powering this Automatic transmission. Window Grid Antenna, Valet Function, Urethane Gear Shift Knob. * This Mercedes-Benz C-Class Features the Following Options *Trunk Rear Cargo Access, Trip Computer, Transmission: 7-Speed Automatic 7G-TRONIC Plus, Tracker System, Tire Specific Low Tire Pressure Warning, Systems Monitor, Strut Front Suspension w/Coil Springs, Smart Device Integration, Side Impact Beams, Seats w/Leatherette Back Material. * Know You're Making a Reliable Purchase *Mercedes Benz of El Dorado Hills graded the Overall Condition of this vehicle as Excellent. Non-smoker vehicle! * Stop By Today *Stop by Mercedes Benz of El Dorado Hills located at 1000 Mercedes Lane, El Dorado Hills, CA 95762 for a quick visit and a great vehicle! *Golden Rule*We are a Golden Rule company dedicating ourselves to world-class customer service in an environment of trust, dignity, and fun. George Grinzewitsch, CEO and Owner, Von Housen Automotive Group For more than 60 years, Von Housen Automotive Group has delivered high-end luxury vehicles to discerning clients throughout the greater Sacramento area, and is the place more people trust for quality, service, and a large selection of Mercedes-Benz vehicles. Von Housen Automotive Group operates three Mercedes-Benz dealerships in Northern California, including Mercedes-Benz of Sacramento, Mercedes-Benz of Rocklin and Mercedes-Benz of El Dorado Hills. The group also owns Mercedes-Benz Sprinter dealerships in both Rocklin and Sacramento. Mercedes-Benz of North America Von Housen Automotive Group has more than 300 dedicated employees and sells approximately $301,000,000 in new and used vehicles, parts and service annually. The team is also a leader in supporting community, philanthropic and non-profit initiatives. Stop by Mercedes-Benz of El Dorado Hills to experience a wide selection of Mercedes-Benz luxury cars, presented by Northern California’s leading team of sales advisors. Reach us online, or give us a call.Only 23,154 Miles! Scores 31 Highway MPG and 24 City MPG! Dealer Certified Pre-Owned. This Mercedes-Benz C-Class boasts a Intercooled Turbo Premium Unleaded I-4 2.0 L/121 engine powering this Automatic transmission. Window Grid Antenna, Valet Function, Urethane Gear Shift Knob. * This Mercedes-Benz C-Class Features the Following Options *Trunk Rear Cargo Access, Trip Computer, Transmission: 7-Speed Automatic 7G-TRONIC Plus, Tracker System, Tire Specific Low Tire Pressure Warning, Systems Monitor, Strut Front Suspension w/Coil Springs, Smart Device Integration, Side Impact Beams, Seats w/Leatherette Back Material. * Know You're Making a Reliable Purchase *Mercedes Benz of El Dorado Hills graded the Overall Condition of this vehicle as Excellent. Non-smoker vehicle! * Stop By Today *Stop by Mercedes Benz of El Dorado Hills located at 1000 Mercedes Lane, El Dorado Hills, CA 95762 for a quick visit and a great vehicle! *Golden Rule*We are a Golden Rule company dedicating ourselves to world-class customer service in an environment of trust, dignity, and fun. George Grinzewitsch, CEO and Owner, Von Housen Automotive Group For more than 60 years, Von Housen Automotive Group has delivered high-end luxury vehicles to discerning clients throughout the greater Sacramento area, and is the place more people trust for quality, service, and a large selection of Mercedes-Benz vehicles. Von Housen Automotive Group operates three Mercedes-Benz dealerships in Northern California, including Mercedes-Benz of Sacramento, Mercedes-Benz of Rocklin and Mercedes-Benz of El Dorado Hills. The group also owns Mercedes-Benz Sprinter dealerships in both Rocklin and Sacramento. Mercedes-Benz of North America Von Housen Automotive Group has more than 300 dedicated employees and sells approximately $301,000,000 in new and used vehicles, parts and service annually. The team is also a leader in supporting community, philanthropic and non-profit initiatives. Stop by Mercedes-Benz of El Dorado Hills to experience a wide selection of Mercedes-Benz luxury cars, presented by Northern California’s leading team of sales advisors. Reach us online, or give us a call.